Email me ANYTIME to place an order from ANYWHERE IN AUSTRALIA. 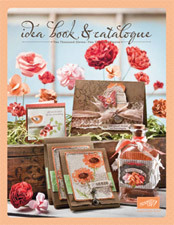 Click on the catalogue to see ALL current catalogues online. Amount Spent: If you spend over $300* you earn FREE goodies PLUS a FREE hostess dollars to spend. Shipping: If you place an order via my blog then the shipping cost is $5.95 on orders under $100 (that’s cheaper than most postage for Stampin’ Up! products on Ebay). Your first three orders via my blog (each order must be over $100) will receive FREE shipping when you mention my blog and this special offer. 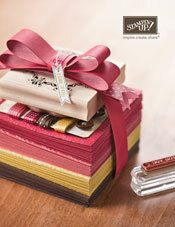 If you place a workshop/party order via my blog then shipping is 5% of each order. If the party total exceeds $600* then shipping is FREE for the hostess. Delivery: Once I have received your payment, I will place your order with Stampin’ Up! who will then ship directly to you via Australia Post courier. Depending on your location, you can receive your order with a few days. * total must exclude shipping. really lovely. Love the clover effect with the hearts! received the stamp set you used. Hi there your Wedding invitations are beautiful. The envelopes you embossed how do they look on the back? Is there embossing on that side too? Beautiful job on the Together Forever wedding invitation. Is it a regular size card 5.5×4.25 opening with the details on the inside or are the details on the back of the blue cardstock? The envelopes are beautiful as well. Excellent job!